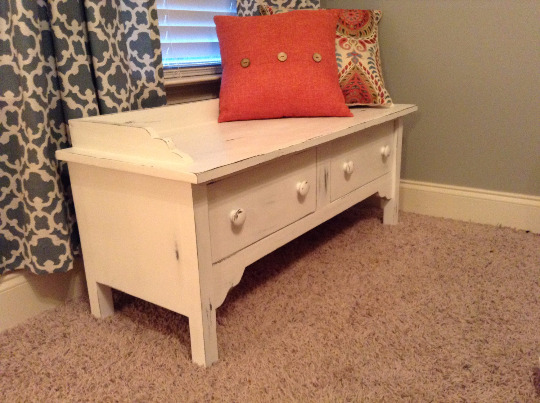 This is a distressed/rustic bench. These are great for entryway's. It is a perfect height for taking off shoes at the end of the day. Has two good size drawers underneath with maple ply bottoms. Wonderful to have to place gloves, shoes, or jacket in. 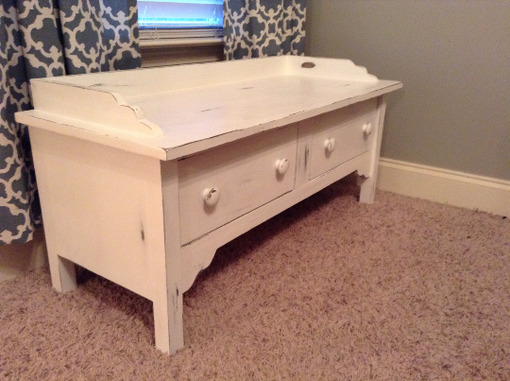 This piece is distressed in white paint and has a matte clear coat. Back of bench is smooth to not damage walls.